Nintendo America have uploaded a new trailer featuring the new additions to their Nintendo Selects range on 3DS. 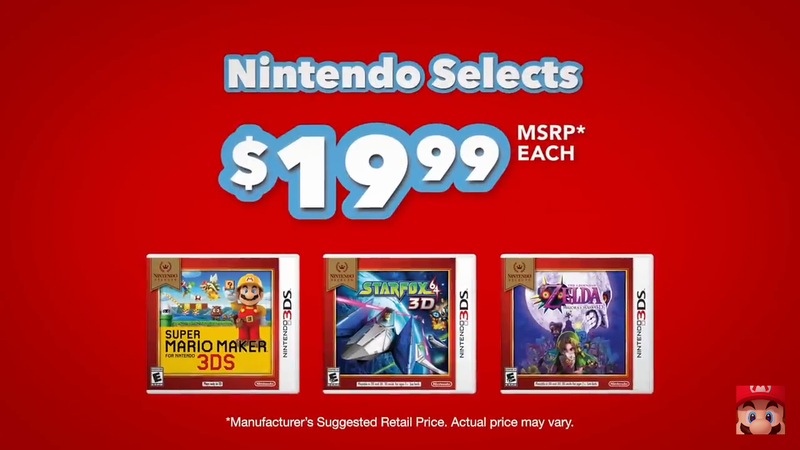 The three new titles added are Super Mario Maker 3DS, StarFox 64 3D and Legend Of Zelda Majora’s Mask 3D. Each will be available to purchase now for $19.99. You can check out the 31 second video below.